Storm Riptide had an incredibly successful 17U season with an overall match record of 36-1 (57-11 in sets). 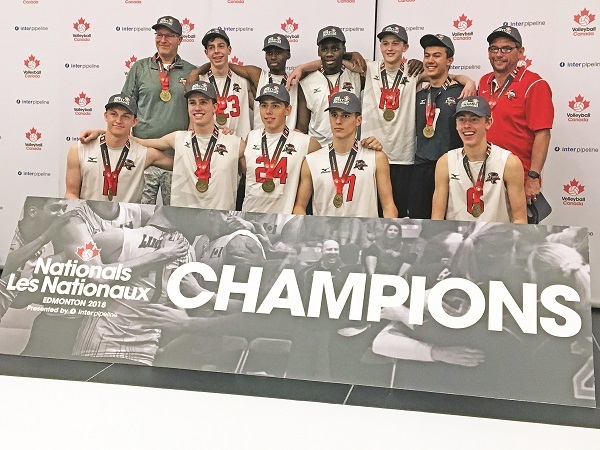 The team won both OVA 17U Premier tournaments, the 17U Grand Prix, the 17U provincial championships (where they did not drop a single set) and capped off the season winning the National title in Edmonton in May winning the finals 25-11, 25-20 over Geants from Quebec. Riptide also had success playing in the OVA 18U division finishing 3rd in two Premier tournaments and 5th at the 18U Provincial Championships.